The Wilson Profile Junior package sets are sized for junior players of all physical statures. With clubs designed to get the ball airborne, these package sets increase the level of fun and confidence for all developing players. Weight positioned low and back in the oversized driver launches the ball high for a better ball flight off the tee. Two playable irons featuring large hittable faces provide forgiveness for developing swing speeds. 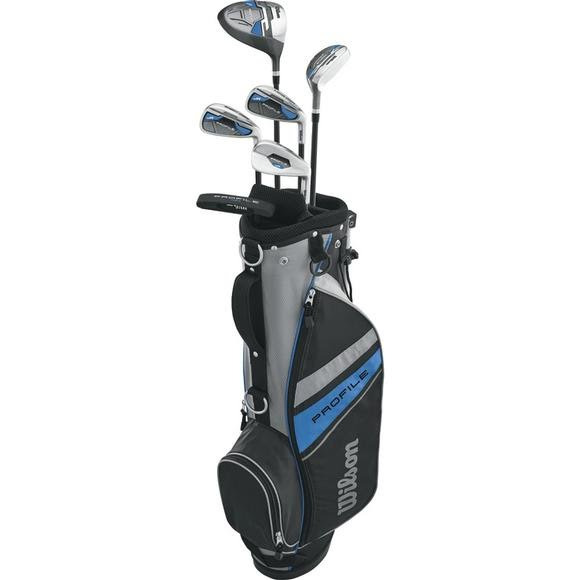 The lightweight carry bag features padded straps and a stand for juniors to walk the course. Shorter club lengths and large sweet spot technology tailor to developing skillsets and characteristics of tween golfers.